For a nonprofit organization, effective money management is key to operational success. Your nonprofit must be able to provide transparency to members and patrons alike. You must be able to achieve security for your sensitive data and still be able to carry out your mission with efficiency and agility. If your nonprofit team is spending all its time maintaining accounts, something is wrong. Accounting software, hosted and operated in the Cloud, introduces straightforward procedures and protocols to accounting, which streamlines the entire process. Your teams can even collaborate remotely to get the job done. Nonprofit accounting is changing. FASB’s mission to establish and improve financial accounting and reporting standards that govern different organizations are constantly updating for best practices and fiscal reporting reliability . This means that accounting software needs to be flexible and reliable. 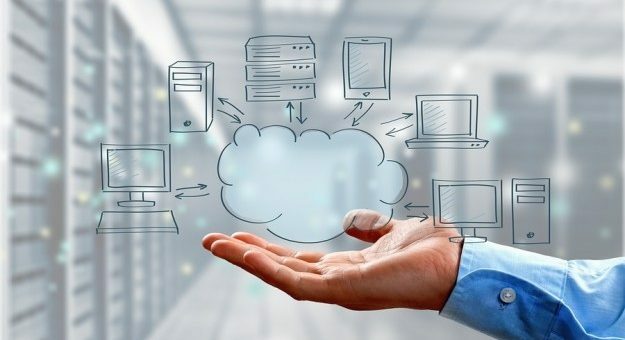 Cloud technology gives your organization the ability to cover both of these bases, with more frequent updates and upgrades than traditional perpetually licensed solutions, often at little or even no extra cost to you, and capturing accounting data which can then be viewed, assessed, moderated and updated in real time. Nonprofits are unlike commercial businesses. You rely on people donating money with little expectation of receiving a tangible product or service in return. What your donors do expect is that you handle their donation responsibly and that the money is used for its designated purpose. Can you prove that? Your nonprofit is nothing without the trust of your public. The more transparent your Non-profit is, the higher level of trust you receive, and as trust in your organization builds so do donations. Build and nurture this trust by showing donors that you are a great steward of their hard-earned money. If your solution is Cloud-based, your reports can be updated as needed to give your donors, your board and your management team the information they need in the format they need it. Once upon a time, this level of accounting functionality was considered a luxury enjoyed by only the most well established organizations. Today, the landscape is somewhat different. No longer a luxury, a marriage of cutting edge accounting software and a Cloud solution is rapidly becoming the necessity that sets your organization apart. A Cloud-based system like Tangicloud makes it easy to achieve the level of accountability and transparency that donors and constituents demand from Nonprofits today. Tangicloud lets you create stronger relationships with your constituents by helping you accurately track, manage and report revenues and expenses for improved integrity and accountability. With Tangicloud, Nonprofits get more accurate and flexible reporting, timely access to data, and automated process that combine to drive down daily operations costs.